Perm services have come a long way since the big hairstyles of the 1980s. In recent years, the introduction of new perming techniques has paved the way for popular hairstyles such as soft, spiral curls, effortless beach waves, bouncy curls, and more. 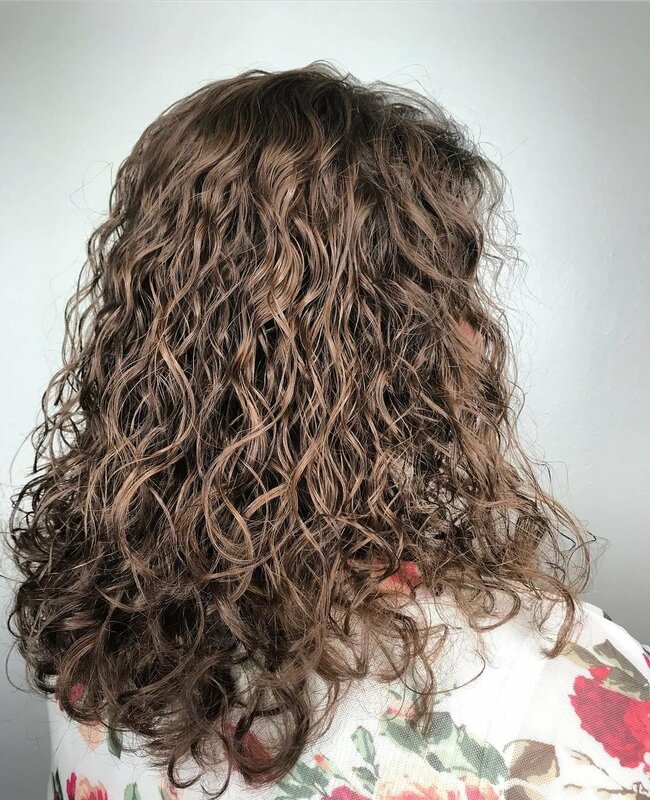 Whether you want to add texture and body to limp, straight hair or transform your straight locks into gorgeous, springy curls, Hair Loft Studio is the best place for perms in New Orleans, utilizing the latest techniques to create fabulous curled, hair. Achieving the best perm results possible are largely comes from your honesty during the initial consultation. Before you make any drastic changes, our experienced hair stylists will address your specific needs by asking you some important questions. These questions will cover topics like your current hairstyle, hair type, and lifestyle as well as the type of texture you desire. For optimal results, make sure that you inform our stylists of the condition of your hair before the service begins. Our hair stylists should know if you have recently cut or colored your hair. You should also let our stylists know if your hair is damaged in any way. In order to ensure that you get a perm that you love, it’s best to bring in specific photos that highlight the kind of hair you would like. Just keep in mind that some of the hairstyles you like may not actually be the result of a perm. Our experienced hair stylists will be able to tell you if the hairstyle is due to a perm, a curling iron, natural waviness, or hair extensions. When it comes to getting the best perm in New Orleans, there are many application techniques that can be used to achieve the desired effect. By using your hair type and desired hairstyle as a guide, we’ll then utilize the best application technique available to produce the results that you want. Once our expert hair stylists apply the perm to your hair, the chemical will gradually break down the structure of your hair strands before being brought back to their original strength. Depending on the specific look that you want, we’ll use small, medium, or large rollers. After getting a perm at our exceptional salon, you should expect to completely change your hair products and daily hair routine. Just like any chemical hair treatment, your hair will need to be properly conditioned and moisturized after the perm service. Because our amazing hair stylists truly care about the condition of your hair, we’ll provide great product recommendations to ensure that your hair stays healthy and fabulous. 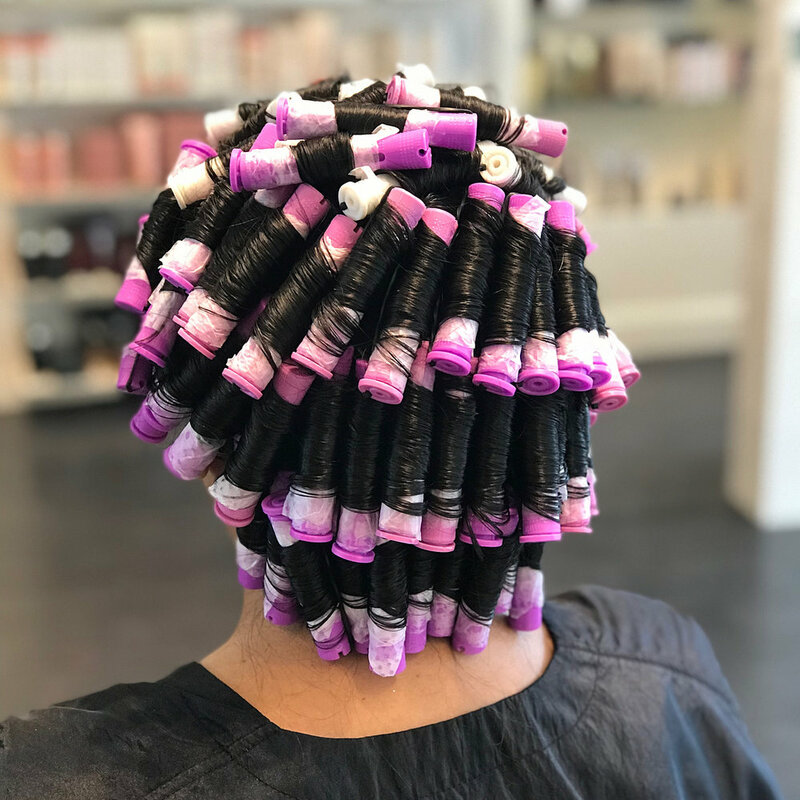 When you visit our reputable salon for the best perm in New Orleans, we promise that you will leave with gorgeous, curly hair that you’ll absolutely love! Ready to receive the hairstyle of your dreams? Schedule a consultation with one of our excellent hair stylists today to discuss your perm goals, current hair condition, and the best after-perm care possible.